Passion Fruit (Passiflora edulis) is a deliciously flavorful tropical fruit, with a sweet and sometimes tart taste. Passion Fruit is a very good source of the antioxidant Vitamin C and Vitamin A, as well as a good source of potassium. It is also a very good source of fiber, including low-methoxyl pectin. 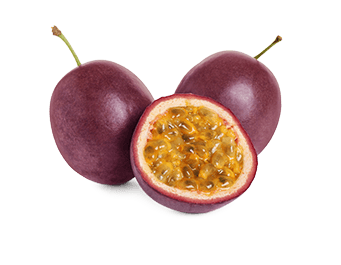 The fiber in Passion Fruit may help maintain digestive and intestinal health. Piceatannol, a phenolic compound, is another component of this amazing fruit which may contribute to skin health.